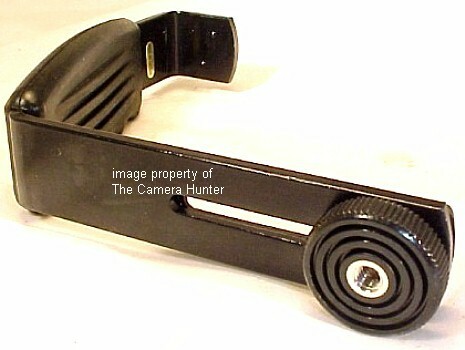 Here is a nice new flash bracket for your camera. This bracket can be mounted on the bottom of any camera. 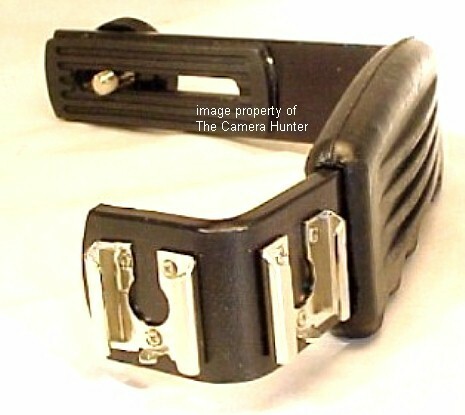 Great bracket for moving the flash away from the cameras film plane which eliminates the possibility of red eye. 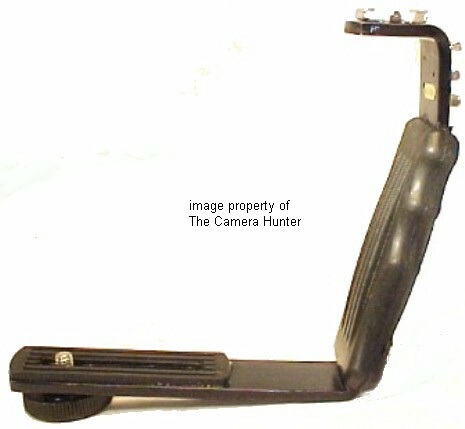 Screws into the tripod socket of the camera to create a shoe mount and handle. This is a very useful item for those of you who are using Vintage cameras. You can use this to mount a meter, flash, rangefinder, etc. You will appreciate the help this gives you in keeping the camera steady. The handle side measures 5 inches tall and the bottom is 4 ¾ inches long. The metal is black anodized aluminum with a soft rubber grip. This is sure to provide you a lifetime of faithful service. This item is brand new and a great item that allows you to attach your flash to a light stand or a tripod. 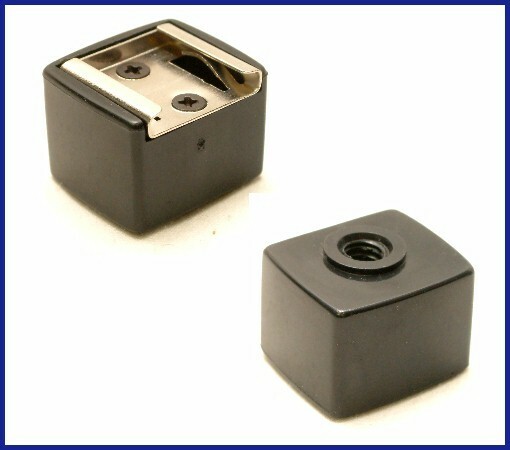 The tripod socket is a standard 1/4 inch thread, shoe portion standard size.